To Contact Richard, Click here. 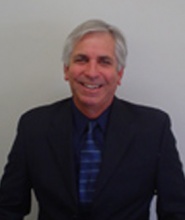 I was born and raised in the San Fernando Valley and have been in the Commercial Real Estate business since 1987. I attended Pierce College in Woodland Hills, then moved on to the University of Houston on a tennis scholarship. I earned a degree in Business Administration with an emphasis on Marketing in 1985. I have held real estate license since 1987 and specifically a Brokers license since 1990. After graduating, I returned to Los Angeles where I joined Schneider Commercial Real Estate, a full service commercial brokerage firm. At my first year at Schneider, I earned the Rookie of the Year honor which encompassed all five California offices. After working for Schneider for 7 years, I decided to open my own company. In November 1992, I began Paley Commercial Real Estate. The company was incorporated in July 1994 under the name of Paley Commercial Real Estate, Inc. The company is active in all aspects of brokerage including sales, leasing, and tenant representation. The emphasis of our business is representing property owners with respect to the sale and or lease of their properties. In addition, we work with small to medium sized businesses in the site selection, lease or purchase of commercial real estate. We also have a commercial property management division that manages over 45 properties in the valley and surrounding areas. In addition, we offer appraisal services for valuation information or IRS related needs. The main focus of our operations are based in the San Fernando Valley. I feel that in order to represent the client in the best possibly way, you must be an expert in the area in which you serve. As a compliment to my business endeavors, I began early in my career to get involved in civic organizations which is something I have always been interested in. I am past president of the Reseda Chamber of Commerce and past board advisor to the West Valley YMCA. I was also a board member and vice president for The Tarzana Chamber of Commerce and now I am currently a member of the Encino Chamber. I also served on a State Senate Small Business Commission which acts as a strong voice for small business issues. In addition, I served as Vice President of the Southwest Region of the United Chambers of Commerce and I was a board member of the Encino Neighborhood Council. I am also a past member of the AIR Commercial Real Estate Association for three years. I am married to my beautiful wife Terie and we have a girl and twin boys. To Contact Howard, Click here. 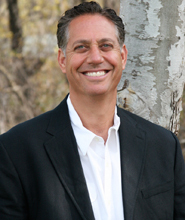 I was born and raised in the San Fernando Valley and have been in commercial real estate for over twenty years. I started my career with a small Commercial Real Estate company that specialized in retail properties in the Valley. After 4 years, I relocated to another firm specializing in the leasing and management of medium and large shopping centers. This gave me the experience and knowledge I needed with all aspects of retail-office leasing & sales that gives me the added edge to get the job done! When the opportunity presented itself to join Paley Commercial Real Estate, Inc. I knew my past work experience would fit the niche Paley Commercial focused in on. I now specialize in seeking out qualified Tenants/Buyers for all the properties the firm has available, addition to the other properties available that fit my client's needs. I am married to my beautiful wife Michelle and we have twin girls.